Prescribed Interest Rate Increases. Prescribed Interest Rate Increases. 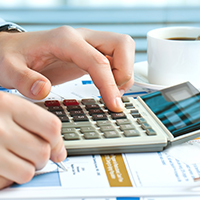 The prescribed interest rate is used to determine how much interest is collected and paid by CRA on overdue balances, as well as the limits to interest rates charged on non-arms-length loans, such as a spousal investment loan. The rate has been at 1 percent since the fourth quarter of 2013, when it was 2 percent for that quarter. The rate is based on the average rate on three-month Treasury Bills for the first month of the previous quarter, rounded up to the next full percentage point. The average rate for January of 2018 was 1.18 percent, which means the prescribed rate for the second quarter will be 2 percent. The interest rate charged by the CRA on overdue taxes, Canada Pension Plan contributions, and employment insurance premiums will be 6 percent. The interest rate used to calculate taxable benefits for employees and shareholders from interest-free and low-interest loans will be 2 percent. The interest rate to be paid by CRA on corporate taxpayer overpayments will be 2 percent. The interest rate to be paid on non-corporate taxpayer overpayments will be 4 percent. 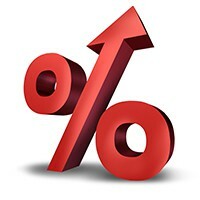 For new spousal investment loans, the minimum rate will double from the current 1 percent to 2 percent as of April 1. For these reasons, spousal loans should be structured in March rather than April. In addition, shareholder loan balances should be reviewed to determine imputed interest charges. Also, for individuals who have not yet paid their outstanding taxes owing to CRA, the new 6 percent rate will be charged on those balances soon, and will definitely increase the pain to your pocketbook. The moral: clear up your debt to CRA as soon as possible. Old Age Security Rates Expected to Rise, too. Service Canada will release the official rate after the March payments have been made. Additional educational resources: Check out Evelyn Jacks’ new Essential Tax Facts, How to Make the Right Tax Moves and Be Audit Proof, Too. For those who want to develop new professional credentials, consider earning your Certified Personal Tax Practitioner Diploma. online with Knowledge Bureau. Call 1-866-953-4768.